Lets say on Beat one, measure one I want a quarter note C and a half note E.
I can't seem to get the two notes to have two different durations. I've tried editing the note and setting the duration of the E to Two beats. But the notation and play back still keep them both at quarter notes. I don't think that is it. 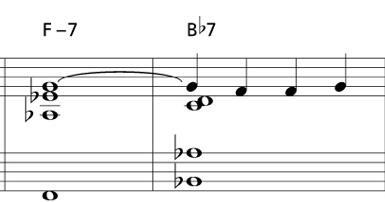 In the example above, in the second measure, you have the whole note chord and the quarter note melody line. On the first beat, I can make all the notes quarter notes, or all the notes whole notes, but i can't get the melody note to be a quarter note and the rest be whole notes. If I continue the melody in quarter notes, as soon as I make the second beat a quarter note, all the notes on the first beat become quarter notes. Can't find any literature on it. it is vexing.